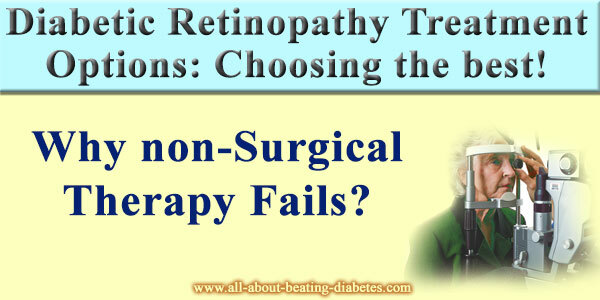 There are various treatment options for diabetic retinopathy, including surgical and non-surgical. Once the right diagnosis is set, the treatment should start immediately. For your information, diabetic retinopathy is the leading reason why people get blind. All the people who suffer from diabetes could experience light, mild or severe retinopathy at some point of their lives. That's why it is really important that this condition is recognized very fast and treatment immediately chosen. The reason why people develop this condition is because the vessels in their eyes are damaged. That’s why blood is leaking out of them and that’s why their vision is blurring. The non surgical treatment is less effective because there is an anatomical problem, which is present and needs to be fixed mechanically. That’s why most of the drugs that are used as a treatment for retinopathy have a very weak effect, which does not last long. Part of the non-surgical methods that are used to treat diabetic retinopathy is the injection of steroids in the intraocular space. This treatment has very good effect but the effect does not last long. 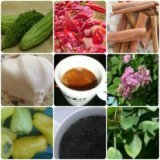 However, it stops the bleeding from the blood vessels in the eye. That’s how the edema in the eye is reduced. The person’s vision will be improved temporarily because the diabetes is a chronic disease and if it attacks your blood vessels in the eye it will never stop attacking them again and again. That’s why this method needs to be combined with other surgical methods that will better the vision permanently. Laser surgery is the most important part of the retinopathy treatment as it closes the blood vessels in the retina. That’s how the blood leaking is stopped permanently, unlike steroids which have only temporal effect. Neovascularization is a condition where new blood vessels are created to support the structures that are left without blood supply. This neovascularization lead to edema in the eye and because of that this process must be stopped at all cost. Laser surgery could do that as well. Cryoptherapy is part of the surgical diabetic retinopathy treatment. In this case, your eye will undergo freezing. That way the blood vessels that are affected by diabetes will shrink and the blood leaking will stop. Also, the edema in the retina will be reduced greatly. That way the retina will be able to stay attached to the eye. The greatest problem of developing retina edema is the possibility of losing your retina because of mechanical detachment. If that happens, it has to be attached to your eye again with the help of surgical methods.